BRUSSELS — NATO is preparing for a new era without a Cold War nuclear treaty that the U.S. accuses Russia of violating, the head of the alliance said Tuesday.During a wide-ranging interview, Secretary-General Jens Stoltenberg also told NBC News that NATO has discussed the possibility of a troop drawdown in Afghanistan as part of a peace deal with the Taliban.On Russia, Stoltenberg said that NATO's "first priority" is to save the Intermediate Nuclear Forces Treaty, whichWashington is walking away from because it says Moscow has deployed a banned missile. 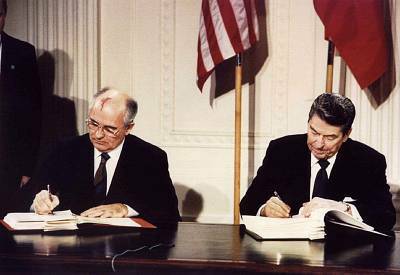 "At the same time," Stoltenberg added, "we are planning for a world without the INF Treaty, with more Russian missiles in Europe. 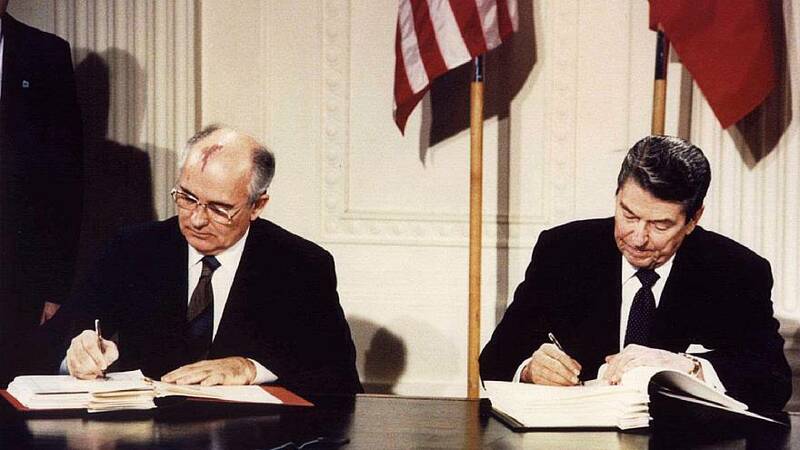 "Signed by the U.S. and Soviet Union in 1987, the pact was designed to reduce the threat of nuclear war in Europe. Stoltenberg called the agreement a "cornerstone for European security," and without it some experts worry there could be a new arms race on the continent, with both sides trying to match newly deployed weapons on the ground.The NATO chief said Moscow is "deploying nuclear-capable missiles in Europe with very short warning times and they are also reducing the threshold for any potential use of nuclear weapons in armed conflict. "Russia denies this, and says that a U.S. missile defense system deployed in Europe could be adapted to fit treaty-violating cruise missiles. Moscow has also suspended the pact.Earlier, Stoltenberg told reporters that NATO members did not intend to deploy more nuclear missiles in Europe to retaliate for the Russian violations.Defense ministers are set to discuss their response Wednesday but Stoltenberg declined shed light on what that might look like. "We don't want a new arms race but we need to provide credible deterrence and defense in a world without the INF Treaty," he told NBC News.On Afghanistan, the secretary-general said that NATO has "discussed the possibility, of course as part of a peace deal, to reduce the presence of NATO troops" in the country.Last month the U.S. held peace talks with the Taliban aimed at ending Washington's longest war. Both sides claimed progress toward a potential agreement that could see the U.S. withdraw American troops within 18 months, and the Taliban commit to preventing terrorist groups from using the country as haven. "I think there is more reason now to believe that it's possible to reach a peace agreement than it has been in the time previously in this very long conflict," Stoltenberg said Tuesday.He said that "the aim is not to stay in Afghanistan forever" but said it was "very dangerous to speculate" about when or how any troop withdrawal might begin. "We are not negotiating a leave deal, we are negotiating a peace deal," he said.Hans Nichols and Carlo Angerer reported from Brussels, and Alexander Smith and Allie Miller from London.